Development of DNA-based detection methods for O. volvulus began in the 1980s before the development of the polymerase chain reaction (PCR). Using conventional screening approaches, several DNA probes were identified that exhibited varying specificities. Some were specific for parasites of the genus Onchocerca, while others were specific for O. volvulus. [3,4] One probe (pFS-1) was developed that was specific for parasites endemic to the rain forests of West Africa. DNA sequence analysis revealed that all of these probes were related, having been derived from a tandemly repeated DNA sequence family specific to the genus Oncho-cerca, designated the O-150 repeat family. Further analysis of the O-150 repeat family revealed that its variation was constrained, and that the members could be grouped into subfamilies in which the members were nearly identical. Some subfamilies were found in all members of the genus Onchocerca. Others were specific for O. volvulus or other Onchocerca species, and some were found only in certain isolates of O. volvulus. These results explained the observed specificity of the previously isolated DNA probes and permitted the rational design of new oligonucleotide probes. The repeated nature of the O-150 repeat made it particularly amenable to the development of a PCR assay. In the initial PCR assays, degenerate primers were used to amplify all of the subfamilies of the O-150 repeat and the products distinguished on the basis of hybridization to oligonucleotide probes. Subsequently, primer pairs were developed that specifically targeted a subfamily of the O-150 repeat that was found only in O. volvulus, resulting in an O. volvulus-specific PCR. Before the development of the O-150 PCR, the gold standard for the diagnosis of O. volvulus was microscopic detection of microfilaria in small skin biopsies (skin snips) collected from infected individuals. The sensitivity of the 0-150 PCR ranged from 90% to 100% when compared to the microscopic skin-snip assay. [9-11] The specificity of the 0-150 PCR was 100% when tested on individuals never exposed to O. volvulus. In one study, amplification was also obtained from 13/34 skin-snip-negative individuals residing in an O. volvulus endemic area, suggesting that the 0-150 PCR of skin-snip-derived DNA might be more sensitive for the detection of O. volvulus than microscopic examination.1-9-1 However, a similar study found the 0-150 PCR to be no more sensitive than microscopy when care was taken to thoroughly examine the snip. Taken together, these results suggested that the 0-150 PCR assay was 100% specific for the detection of O. volvulus and at least as sensitive and perhaps more sensitive than the skin-snip assay. The original 0-150 PCR assays involved the detection of products following amplification and Southern blotting followed by oligonucleotide hybridization. Subsequently, enzyme-linked immunosorbent assay (ELISA)-based and chromatographic (test strip) methods were also developed. [13,14] Both methods were found to have comparable sensitivities and both were at least as sensitive as gel electrophoresis.1-12-14-1 The ELISA-based method allows the investigator to define a rational cutoff for defining positive samples. The test strip methods, although not permitting the assignment of a quantitative cutoff, do not require the use of any sophisticated equipment, bringing the 0-150 PCR one step closer to field applicability. 0ne of the disadvantages of the skin snip is that collection of skin biopsies requires the use of a sclero-dermal punch. These instruments are expensive and must be sterilized between uses. The painful nature of the test also limits its acceptance among affected communities. Thus attempts have been made to use the 0-150 PCR to detect parasite DNA in samples that can be collected by less invasive means. Toe et al. demonstrated that parasite DNA could be detected in superficial skin scrapings using the 0-150 PCR. The sensitivity of this assay was high when compared to microscopy (92%) but lower when compared to 0-150 PCR amplification of skin-snip DNA. The 0-150 PCR has also been used to detect O. volvulus DNA in the urine of infected individuals. 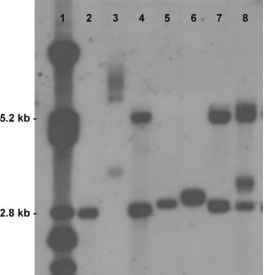 Although successful, the sensitivity of the urine-based PCR was quite low (14%). Perhaps the most important application of the 0-150 PCR has been for the identification of O. volvulus L3 in black flies. The overall goal of both the 0CP and 0EPA is to eliminate transmission of O. volvulus. In the pursuit of this goal, it was necessary to determine the level of transmission. The most efficient way to accomplish this was by examining vector black flies for L3 rather than monitoring for new infections. This is because it is difficult to monitor infection incidence in underdeveloped areas where populations are mobile and medical records are incomplete. In addition, the long prepatent period (18-24 months) means that new human cases provide a snapshot of transmission that is at least 18 months old. Traditionally, transmission monitoring has been accomplished through dissection of individual black flies. However, there are two drawbacks to dissection. The first is that throughout much of West Africa, O. volvulus is sympatric with Onchocerca ochengi. Both O. volvulus and O. ochengi are transmitted by the same black flies, and their L3 are morphologically indistinguishable. This means that it is difficult to obtain an accurate estimation of the level of transmission for O. volvulus using dissection in areas where both parasites are found. This difficulty was overcome through the development of the 0-150 PCR and of species-specific oligonucleotides capable of distinguishing O. volvulus and O. ochengi. A second disadvantage to dissection is that it becomes increasingly inefficient as the prevalence of infected flies declines, as occurs in the face of an effective control program. The high sensitivity of the 0-150 PCR for the detection of O. volvulus DNA opened the possibility that this assay might be used to screen pools of black flies, permitting the efficient simultaneous screening of large numbers of flies. Therefore, the 0-150 PCR was adapted to permit its use on pools of flies, and a method was developed to predict the prevalence of infection in the vector population based on the proportion of negative pools found and the number of flies contained in each pool. This method was evaluated in field studies in Africa and the Americas that compared infection rates estimated by dissection and pool screen PCR. In all cases, the PCR results were indistinguishable from the prevalence of infection as estimated by dissection. Recently, the pool screen PCR technique has been used in a countrywide study in Ecuador to estimate the effect of long-term ivermectin distribution on O. volvulus trans-mission. The data from this study documented a dramatic reduction in O. volvulus transmission as a result of long-term ivermectin distribution, and demonstrated that in one focus transmission had been completely suppressed. This demonstrated that the 0-150 PCR could be used to assist control programs in monitoring transmission in areas where the intensity of transmission was low, and also provided evidence that under certain circumstances, O. volvulus transmission could be eliminated through ivermectin distribution alone.